The lost animal was filmed by a drone used by the local forestry station personnel, recording the Asian elephant's visit. People and cars were moved out of his path and the forestry station staff tried to guide him back towards the forest but unfortunately failed. 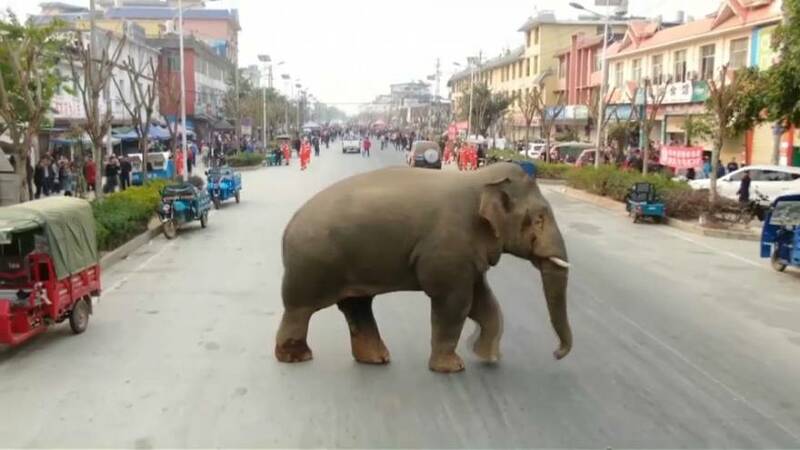 The local police and firefighters had to step in and the mammal was led away to safety after 30 minutes.